Nature fans will enjoy this design of a white duck! Add this to apparel, home decor or a decorative pillow! 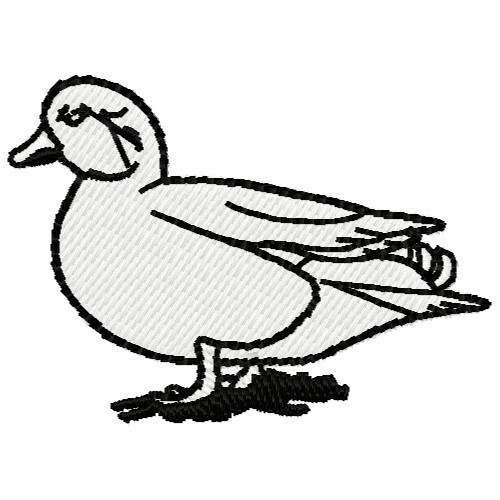 Embroidery Stitches is happy to present White Duck machine embroidery design which has 3213 stitches and is [51.05 mm x 36.83 mm] large. If you would like to view more embroidery patterns please search on our embroidery designs page.